DVI or LVDS , 4 x SATA with RAID . COMMELL, the worldwide leader of Industrial SBC, introduced the PISA platform HS-874P based on the Intel® Q35 Express Chipset, supports Intel® CoreTM 2 Quad processors or Intel® CoreTM 2 Duo processors up to 1333/1066/800 MHz system bus in the LGA775 package, and with support for next-generation 45nm Intel® CoreTM 2 processor family. The board delivers innovative capabilities and usages for digital home consumers and new levels of 3D and media performance while enabling lower power and quieter systems. 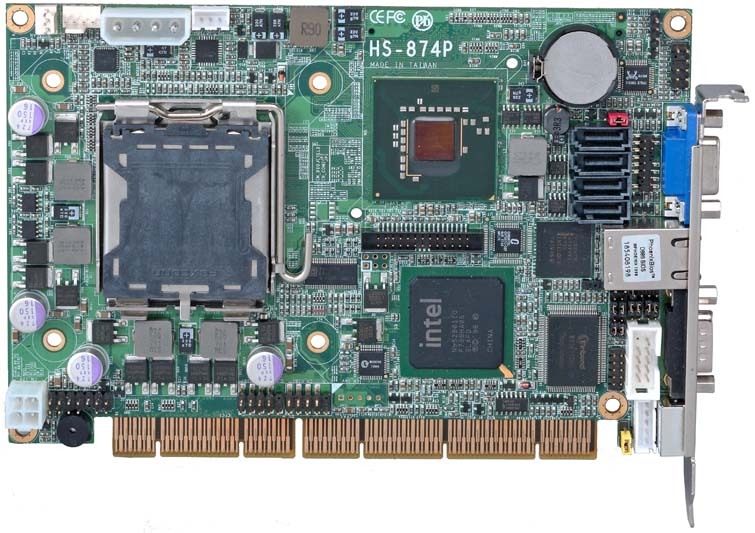 The HS-874P SBC features Intel®`s low-power graphics core with Intel® GMA3100. The new core allows for reduced power and noise without sacrificing the performance business users need. It is ideal for business users seeking support for advanced operating systems like Windows Vista. Besides the VGA, there's DVI or LVDS output for Dual display solution. The HS-874P comes with PS/2 Keyboard and Mouse, 1 x RS232 & 1 x RS232/422/485, 4 x SATA with 300MB/s transfer rate support RAID function, Networking is provided by Intel 82573L Gigabit Ethernet. 4 x USB2.0 ports for 40X faster data transfer rate and backward compatible to support USB 1.1 devices, 1 x IrDA and GPIO interface. CPU: Intel® CoreTM 2 Quad / Core 2 Duo in LGA775 @ 800 / 1066/1333 MHz FSB. Memory: One 200-pin DDR2 667/800 MHz up to 2.0 GB. Chipset: Intel® Q35 and ICH9DO. VGA Interface: built-in Intel® Graphics Media Accelerator (GMA) 3100 technology. DVI interface: Optional 26-pin DVI interface. LAN Interface: 1 x Intel® 82573L Gigabit Ethernet . Intel® CoreTM 2 Qaud / Core 2 Duo in LAG775 @ 800/1066/1333 MHz FSB. 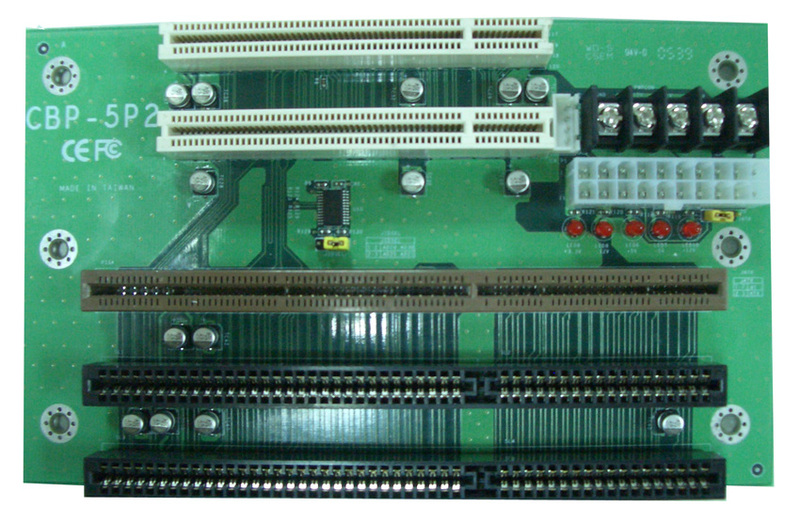 LVDS and LCD inverter connector .